Most of times, users want to know whether recovered photos are correct. In these cases, file preview function comes in handy. 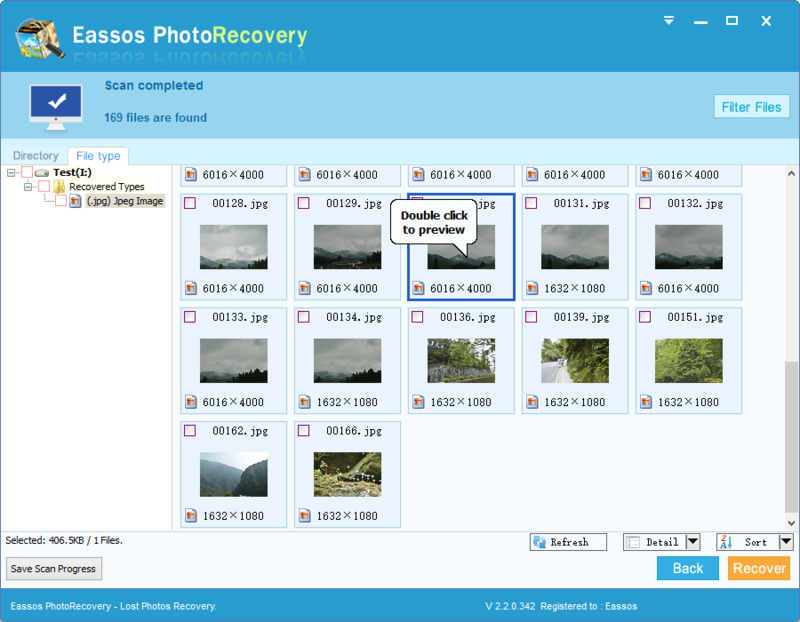 Eassos Photo Recovery supports preview of various formats of photos, pictures and graphics. File preview function helps users preview all kinds of photos and pictures, which is effective way of checking file quality before actual recovery.